Click here for a preview of the manual. NGOs can call for and help governments in adjusting their policies to improve the health of their populations through their active participation in public health activities. Reducing the population’s exposure to alcohol marketing can improve health and welfare. Supplement 1 to the journal Addiction (January 2017): "The Regulation of Alcohol Marketing: From research to Public Health Policy"
The new manual shows how NGOs and local activists can monitor commercial alcohol promotions in their respective environments. The methodology was developed by the MAMPA project and the new manual is published by FORUT. It is well documented that marketing of alcoholic beverages can influence drinking patterns and consumption levels, particularly among young people. 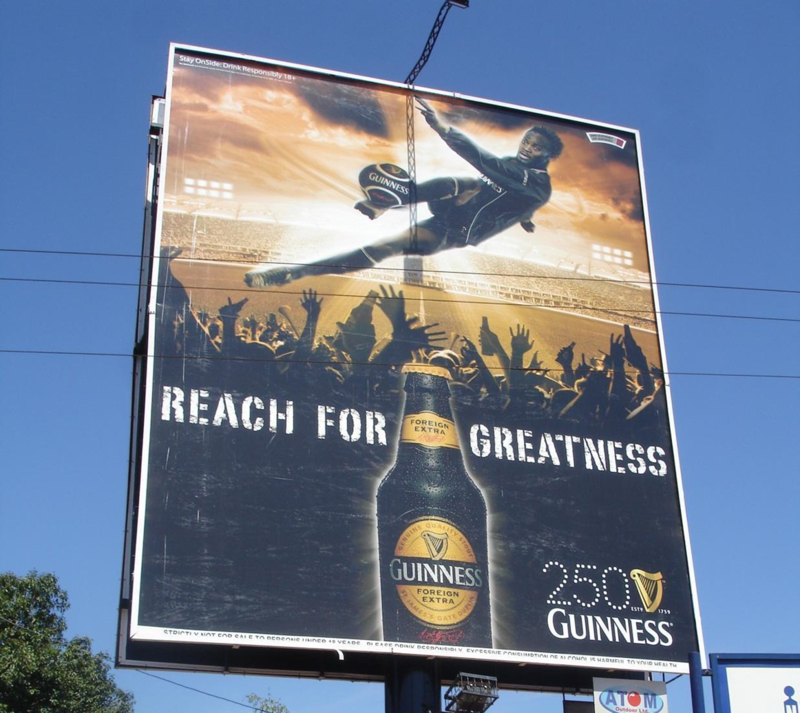 Marketing can lead to earlier onset of drinking and higher consumption levels among those who have already started. Restrictions on alcohol marketing is therefore an important public health issue. 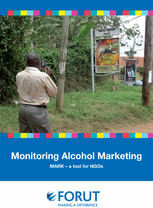 The manual “Monitoring Alcohol Marketing” (MARK) offers practical and thematic guidance for NGOs planning to make restrictions on alcohol marketing a national policy issue. The basic idea is to provide policy makers with a real and well documented picture of how much alcohol promotion there is. You may have a quick glance at the 44 pages og the manual if you click here. “Monitoring Alcohol Marketing” – a small pdf file for download (3Mb). “Monitoring Alcohol Marketing” – a medium size file for download (10Mb). The registration forms in the manual (appendix 1a - 1f) can be downloaded in Excel version here. 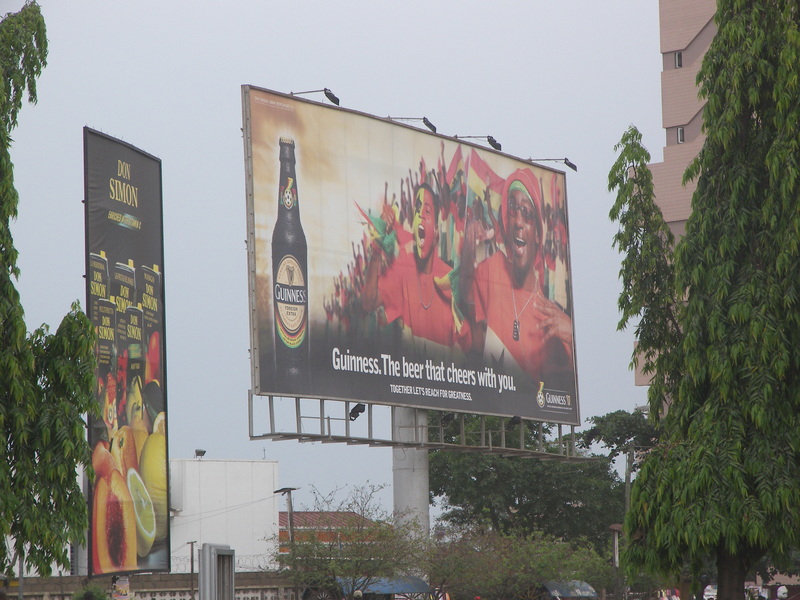 In many environments, not the least in developing societies, billboards, magazine ads, TV and radio commercials etc. promoting alcohol and drinking, are prevalent. The totality of such marketing is still difficult to grasp. You see one ad here and a commercial there, but the picture remains fragmented. Analyses of both content and/or volume of exposure provide important information on the tactics being used by the alcohol industry to create a need for and promote their products. Mapping exercises can help putting all these pieces of the puzzle together and show the full picture of alcohol promotions in a city or a community. How many billboards are there in a given area? Where are they placed? How many selling and serving points do we have in our community? How many radio commercials are broadcasted in a week? A methodology for more scientific mapping exercises was developed in the MAMPA project; Monitoring Alcohol Marketing Practices in Africa. This has now been downscaled to a working method that can be used by lay people; NGO leaders, local activist groups, youth groups etc. Carina Ferreira-Borges is the author of the new manual. She is a public health consultant now living in Portugal. She used to work with substance use prevention for WHO Afro in Brazzaville for several years, and during that time the MAMPA project was among the projects on her desk. In the introduction to the manual Carina Ferreira-Borges states that NGO’s should monitor alcohol marketing: “Basically because the alcohol industry is increasing the visibility of their products through different forms of communication – marketing. This means that people will consume more. And this would be fine if alcohol was an ordinary commodity, which it isn’t. In fact, alcohol harm is increasing worldwide and we need to do something about it”.